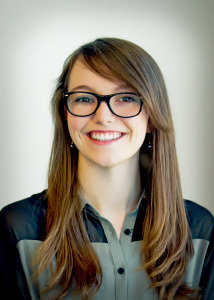 Emily Rice joined B3 Strategies in September 2014. As the Government Relations Assistant, Emily manages invoicing, scheduling, communications, and assists the Chief Executive Officer and Government Relations Associate with researching, monitoring and tracking legislation. Emily earned her Bachelor of Arts in English and History from Gonzaga University in 2013. While in school, Emily was the editor of the student scholarly journal, Charter, and helped lead the student improvisational theater group. Prior to joining B3 Strategies, Emily worked at GameTruck Licensing, LLC as the Communications Manager, where she handled social media, communications, and the potential franchisee discovery process. Emily is looking forward to learning all she can about public policy and is passionate about forest health issues. In her spare time, Emily enjoys reading about science fiction, history, and learning more about politics and communication.